Embossed monograms can be very simple or very detailed and show off best on fabrics with a deep pile, such as towels and fleece. They are almost always made using color on color techniques. Once the principles of creating this type of embroidery is understood, making the design is very basic. Parts of the terry or fabric pile is exposed and other areas are sewn flat with heavy/dense stitching. The design below has only four elements. They take a considerable amount of embroidery sewing time even though they have simple parts. 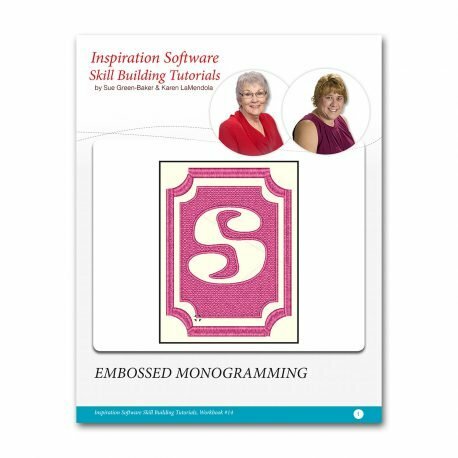 In this lesson, you will create your own embossed monograms. Once you learn the basics of making these monograms, the sky is the limit for adding your own creativity.